Last month brought the West Coast premiere of the award-winning, critically-acclaimed Fruitvale Station, a film based on the final 24 hours of Oscar Grant’s life, to the state of California. 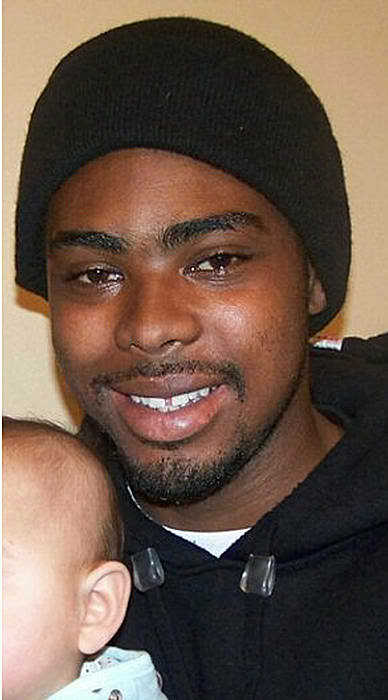 Oscar Grant, of course, was the 22-year old African American male who was needlessly gunned down by a Bay Area Rapid Transit (BART) police officer in Oakland, California during the early-morning hours of New Year’s Day 2009. After having made its official debut at January’s annual Sundance Film Festival in Utah, it premiered overseas in Europe as part of France’s annual Cannes Film Festival. Now the film is destined for full stateside impact in the weeks ahead, hitting theaters in New York on July 12 before opening up to a national audience July 26th. The film has already garnered a number of awards, which is quite an impressive feat considering that not only is this movie independently-produced (by Forest Whitaker), but the film’s director, Ryan Coogler, has never before directed a full-length feature film. Among the laudable awards the movie has earned thus far are the “Grand Jury Prize” and the “Audience Award” (in the dramatic film category) at the Sundance Film Festival, as well as the “Best First Film Prize” awarded to director Ryan Coogler at Cannes. An exceptionally talented group of up-and-comers were cast to star in the dramatic and sometimes difficult roles. At 26 years old, Michael B. Jordan, whose previous roles include “Vince Howard” on the NBC-hit show ‘Friday Night Lights’ and “Wallace” on HBO’s ‘The Wire’, stars in the lead-role of Oscar Grant. Academy-award winner Octavia Spencer stars as Wanda Grant, Oscar’s mother; and Melanie Diaz play’s Sophina, Oscar’s girlfriend and mother of their 4-year old daughter Tatiana. Playing the less enviable roles of the BART police officers who abused and ultimately killed Oscar Grant are Kevin Durand and Chad Michael Murray, the latter being of “Freaky Friday” and “House of Wax” fame. The officers’ names have been changed in this film to avoid potential lawsuits the real officers involved in these incidents would undoubtedly bring forth. The cop who shoots and kills Grant is referred to in this film by a fictional name, “Officer Caruso”. The real Oscar Grant, on whose last day of life the film ‘Fruitvale Station’ is based. If critics are to be believed, it’s as if this film does justice for Oscar Grant the way the Courts never did. Grant was just 22 years old when, during the early morning hours of January 1, 2009, police at Oakland’s Fruitvale Station reportedly received a call alerting them of a scuffle taking place on board one of the Bay Area Rapid Transit train cars en route from San Francisco. When the train arrived, a number of men, Oscar among them, were stopped and held in police custody and were never informed as to what the reasoning behind this was. Among the officers present at the scene were Tony Pirone (who apparently hurled racial slurs at Grant), Marysol Domenci and of course, Johannes Mehserle. A number of witnesses, acutely aware of what was happening, captured every bit of the incidents with their cellphone-cameras. The footage they compiled show the police yelling at the men, who they’ve forced to sit in a line against the wall of Fruitvale train station. At one point, it appears as if Oscar is trying to rise to his feet, possibly hoping to question the police officers on why he was being held. (At this point, he may have been either impatient and/or scared after being so needlessly held and treated with suspicion by police, which is certainly understandable.) Before he can get to his feet, however, one of the officers is seen punching him, throwing him to the ground, and then kneeling on his back, before restraining Oscar’s arms in handcuffs. The bystanders, some of whom are filming, react with outrage over what is clearly far beyond the bounds of “necessary force.” Not long afterward, as Grant lay helplessly with his face to the ground, back to the air, and hands firmly restrained by the tight metal cuffs, Officer Johannes Mehserle calmly approaches him and, with his gun, shoots him in the back. Grant died just 7 hours later. Witnesses to this atrocious slaughter expressed outrage at what they and their cameras had just borne witness to and shouted at the officers; one female voice cried out, “We got you!” In a world where ordinary citizens often feel marginalized and helpless in the face of police terror, it’s as if they, by capturing the true nature of what had just occurred, are yelling to police in defiance, “You cannot hide what you have done forever! This will come back to haunt you, and we’ll make sure of that.” After Grant was dead the videos went viral and a massive wave of protests swept the streets of Oakland, resulting in the eventual arrest of Officer Johannes Mehersle a full 7 days after he’d killed Oscar Grant. Despite one of the most powerful street-led movements of the past decade, Mehserle escaped a murder conviction when he was tried a year later, despite video evidence showing that it was murder that took place. Instead he was convicted of the much less serious offense of “involuntary homicide“, a conviction based on the lame defense that he wasn’t intending to reach for his gun when he fired a bullet directly into Oscar Grant’s back. He “only” meant to shoot him with his taser, he said. This “defense” should have been deemed out of the realm of consideration to begin with. Who exactly was he purporting to protect by tasering a man who’s been lying harmlessly with his face to the ground and shackled in handcuffs?! This alone should demonstrate this guy, Mehserle, clearly has no business “protecting” anybody, and that furthermore society needs to be protected from him. In reality it’s clear he never meant to reach for his taser to begin with. Immediately after he is seen shooting Oscar in his back, the look on his face isn’t one of shock or remorse; it’s the calm, cool, collected expression of someone who just did exactly what he intended to do. If Mehserle had in fact meant to taser Oscar instead of shooting and killing him, he would almost certainly have had a reaction along the lines of, “Oh my God! What have I done? !” But instead he has the expression of a careless tyrant who places no value on life he sees as utterly dispensable. He was sentenced to just two years in a Los Angeles County jail, given a private cell away from the other prisoners. He served only one year before being released back into the community. from left to right: director Ryan Coogler, actors and actresses Viola Davis, Michael B. Jordan, and Melanie Diaz at the Oakland, California premiere on June 20 at Grand Lake Theater. The overall atmosphere and mood of the crowd was of general excitement and everyone seemed to be in high spirits. That was until the lights faded and the audience grew completely silent, watching as the film opened with the disturbing cell phone footage from that fateful night. After reigniting the outrage in the audience that drew this case to prominence to begin with, the reenactment officially begins during the early morning hours of December 31, 2008 – New Year’s Eve Day. It’s made clear to the audience members early on that this film is not interested in portraying Oscar as some sort of untouchable Saint. There are references to a past life marijuana dealing, allusions to him having been unfaithful to his girlfriend, and a flashback showing him being visited by his mother while in San Quentin prison. Ryan Coogler had no qualms about including these scenes, because in his view it shows that Oscar was all the more human, and for many it makes him all the more relatable. What is clear though, and what matters the most is that he is clearly trying to make changes and turn his life around. As Michael B. Jordan, who plays Oscar, puts it, “He was trying to be a better brother, a better son, a better dad, a better lover, a better person…” He tries unsuccessfully to get his old job back at a supermarket, but is greeted with animosity by his former employer. Despite this setback he refuses to take the “easy way out”, and turns down an offer to make some extra cash by selling drugs. There are also scenes which show the gentler, more fun side of his personality, including one where he’s shown playfully brushing his teeth with his daughter. That night Oscar makes plans to go out and celebrate the new year with his male buddies. Oscar’s mother, believing it unsafe for them to be out driving that time of night, advises them to take the train. Later on, after celebrating the New Year in San Francisco, Oscar and his friends are riding the train back to Oakland when a white female he’d met earlier that day at the Super Market sees him and shouts, “Hey Oscar! How are you?”, to which he replies, “I’m good, I’m good.” However, a man he’d previously had a bad encounter with at San Quentin prison hears this conversation and recognizes Oscar. The man approaches him and the confrontation quickly devolves into a fight. 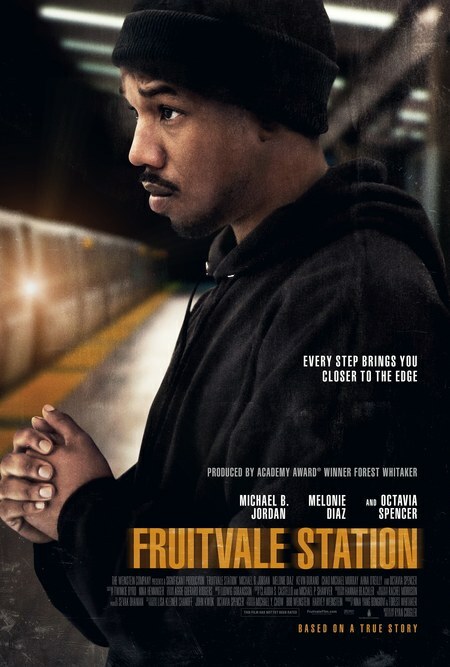 At that moment a voice is heard over the intercom announcing, “Next stop, Fruitvale Station.” What happens next needs no further commentary here. 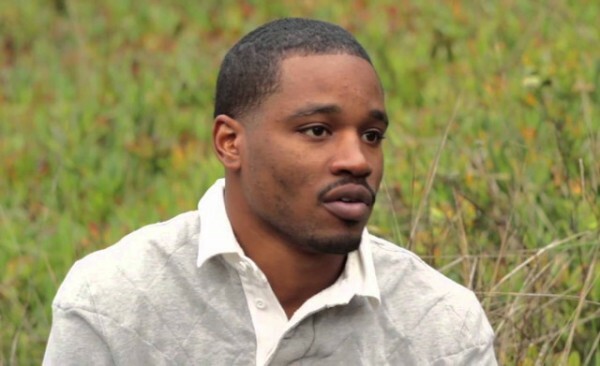 Ryan Coogler, director of ‘Fruitvale Station’. With such an amazing debut film, Coogler has the potential to be one of the greatest and thought-provoking movie directors of his young generation. He feels that a lot of his contemporaries “are stepping up to the plate and realizing we have a social responsibility not just to entertain but to make people think.” (something that today’s big-budget filmmakers are sorely lacking I might add) No matter what the future holds, one thing is for certain. Even though Grant may have appeared to Officer Mehserle to be just another nameless face, Ryan Coogler’s extraordinary film ensures that Oscar Grant will never appear nameless to this world again. I’m waiting for this to open. It’s just so unfortunate this situation keeps happening! By the way, you are not coming up in my updates – not sure why. But I will have to check it. Had no idea you were back here posting. Still thanks for this overview of the film. Everyone should go see this and I have a feeling quite a few will. Damn. How am I not coming up in your updates?? NO!!! Lol. We gotta get that fixed. LOL. I know right? I’m a little lost with WP and their functions. Aren’t you supposed to receive the updates once you’re following? Or is there something else to do??? Yes! I wanna go see it, but I don’t like opening weekend crowds so I will probably go see it like on Monday, in the afternoon. Lol. I’m excited too, but mine is mixed with a little envy cause I have a long road ahead (starting to reorganize my film). Lol. But I know it’s good, you can tell from the trailer! Also I read this review online and all the regular everyday people who added their own reviews liked it alot. EVERY SINGLE PERSON. I was like … wow (that never happens). I’m hoping it will receive an Oscar, not that I really care much about those award shows but still it would get the movie a lot of attention. Turns out I’ma watch it on Tuesday I have to work every night until then. lol. So you are working on your own film you say? This should def be interesting! Lol I live in Lake Charles, LA. I just can’t imagine being greeted with a “sold out” sign here but you never know! And I’ma def check your in-production film out! Should be very interesting. OH. No. Hahahaha. Okay, nevermind. So I saw the movie yesterday! It was everything I expected and more – even had grown men in the theater in tears at the end . Really? 🙂 :)I’m going to see it tomorrow. Wow, grown men cry. You too? 🙂 I guess I should have tissue on hand…..
Yep it is a tear-jerker. You will see! If peeps aren’t feeling something by the end of this movie then something is wrong with them lol. Good nite. And don’t forget the new Nelson Mandela movie is coming soon as well! Have you seen the trailer yet? It looks amazing. How you like them bones? You’re the go to guy now. Lol. Gonna Youtube it. Thanks for the reminder. Hahahaha. I know right. It’s like starvation then a meal, no a feast in front of us. Well enjoy it while you can cuz there are an ocean of more bad ideas to be released in the fall. Yeah, the trailer looks really good. I just have to find out the release date now…. Well, back to my screenplay for the rest of the night. Are you off today? This is the longest I’ve seen you on here at the same time. Wow. Awwww, cool. Then you find things-to-get-done stacking up right? Ahhhh, I’m working on it! Haha. OMG. I went to see it today. Um… gonna do a post about it in a few. Goodie. It’s coming most likely tomorrow night. Basically, this film packs a punch but if you’re grieving already? It’s a blow. Thanks for letting us know about this movie! I’m planning on seeing it. It’s crazy how not a lot of these kind of movies are made. 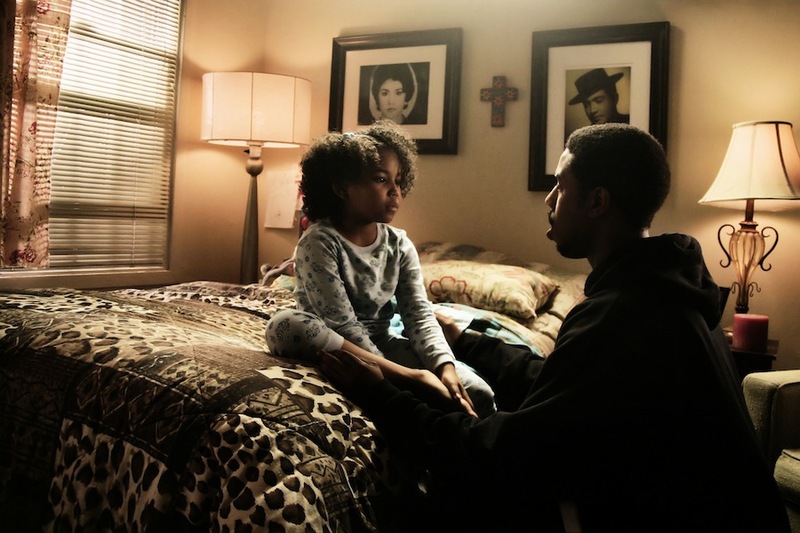 I wish more black movies were this kind instead of all those romantic comedies. There’s so much more going on in the black community than people obsessing over who to date. Yes I’ve that movies dealing with such important issues like ‘Fruitvale’ or ‘Mooz-lum” or “American Violet” are always independently made films, but they far exceed any film ever created by Tyler Perry though sadly he is the only Black film director Hollywood decides to take interest in and promote. Hopefully someone will take his place soon! I don’t like any of Tyler Perry’s movies. I think it’s great that you are so dedicated to black issues. It’s hard to find real news about what’s going on in the black community because most black news is focused on the entertainment industry or fashion/beauty. It is so important that we witness these crimes as we cannot depend on the courts for justice. If nothing else we have to make the stories of these individuals whose lives are lost in the struggle for a new America. Great post by a fellow blogger of whom I am a fan. Respect.